Antonio Lopez began his training with Ballet Repertory Theater of New Mexico in the fall of 2011 and continued as a company member until 2013. After completing his first season with the New Mexico Ballet Company he studied under the direction of Marcia Dale-Weary at the Central Pennsylvania Youth Ballet until summer of 2016. Throughout his training he attended various summer intensives such as Joffrey Ballet NYC, Walnut Hill, CPYB, and Alonzo King Lines Ballet. During his training at CPYB, Antonio performed works by Alan Hinline, Mathew Powell, Price Suddarth, Malinda Howe, Balanchine’s Nutcracker and Western Symphony. 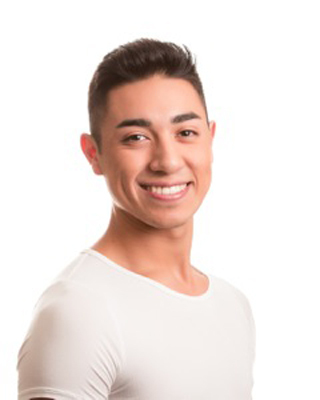 Antonio has now danced with St. Paul Ballet since January 2017, while also guesting with Ashley Ballet Arts Academy, Children’s Dance Theater, Rochester Dance Company, and St. Lucie Ballet. As a part of teaching his way throughout the Twin Cities, he is thrilled to join the team, here at Northland School of Dance.